(CNN) -- The United States' decision to close its embassy in Yemen came after intelligence suggested that four al Qaeda operatives may be planning an attack on the compound, a senior administration official said Monday. The wave of concern follows last month's attempted terrorist attack on a U.S.-bound airliner. Yemen-based al Qaeda in the Arabian Peninsula claimed responsibility. On Saturday, U.S. President Barack Obama linked the Nigerian suspect, 23-year-old Umar Farouk AbdulMutallab, to the group, which is a combination of al Qaeda networks in Saudi Arabia and Yemen. On December 31 the U.S. Embassy alerted Americans in Yemen to remain on alert for the possibility of terrorist violence. What we've seen over the past several years in Yemen is an increasing strengthening of al Qaeda forces in Yemen. Al Qaeda in the Arabian Peninsula said the attempted attack on the airliner was in retaliation for airstrikes against it on December 17 and 24. 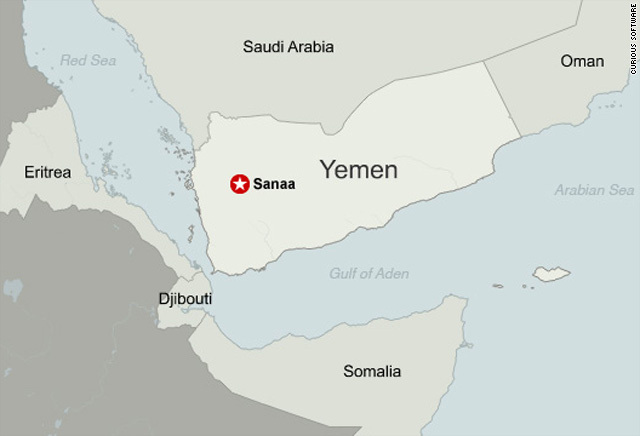 One of those attacks targeted four al Qaeda operatives believed to have been planning an imminent attack against either the United States or Saudi Arabian embassies in Yemen, or both, a senior U.S. military official told CNN Sunday. Three of the targets were killed in the attack and a fourth was wounded, the official said. On Saturday, Gen. David Petraeus, head of the U.S. Central Command, met with Yemeni President Ali Abdullah Saleh in Yemen, a senior U.S. government official told CNN. During his meeting with Petraeus, Saleh expressed his appreciation for U.S. help in combating extremists, offered more support for U.S. counterterrorism strikes and said he would continue providing assistance for the U.S. investigation into the attempted bombing. In remarks Saturday, Obama pledged that everyone involved in the attack would be held accountable, and highlighted his administration's attempts to crack down on extremist enclaves in Yemen. He reiterated his long-standing promise to "disrupt, dismantle and defeat" al Qaeda. Obama said that AbdulMutallab had recently traveled to Yemen and that "its appears that he joined an affiliate of al Qaeda." Al Qaeda in the Arabian Peninsula apparently trained AbdulMutallab, equipped him with explosives and directed him to attack the plane, the president said in his weekly radio address.